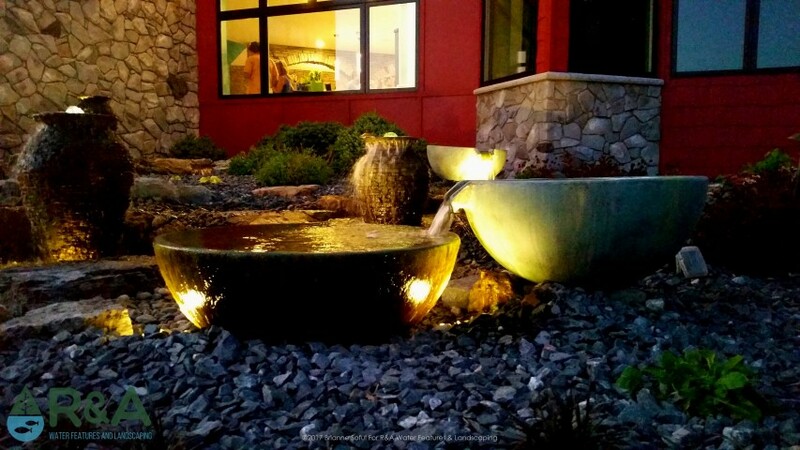 We pride our business in being very knowledgeable regarding outdoor living spaces and landscape construction in general. We've learned a lot of lessons over the years, and most have them have been learned the hard way! I want to share one lesson that we learned many years ago with a wonderful client from Kalamazoo. We completed a beautiful design (2-Dimensional back then) and finished a smooth construction process. We scheduled a post-construction walk-through of the project with the homeowners to discuss maintenance and care, etc. Because the homeowners were so busy, the appointment was set for the evening. When we arrived we chatted for a moment and started heading toward the outdoor living space in the backyard. It was getting rather dark, and as we walked down the steps to the main seating area, I immediately felt horrible. All the beautiful plants, the texture of the flagstone, the new furnishings...all slowly being lost to the dark!! Needless to say, I became increasingly embarrassed as the sun went down! Bless these homeowners...they were very polite and didn't express much disappointment, but I knew we had done them a major dis-service. We should have offered lighting options, as we do now, and discussed the importance of ambient, task, and security lighting. It is a fairly simple concept but too often overlooked. See what an effect even simple foundation lighting can have?? 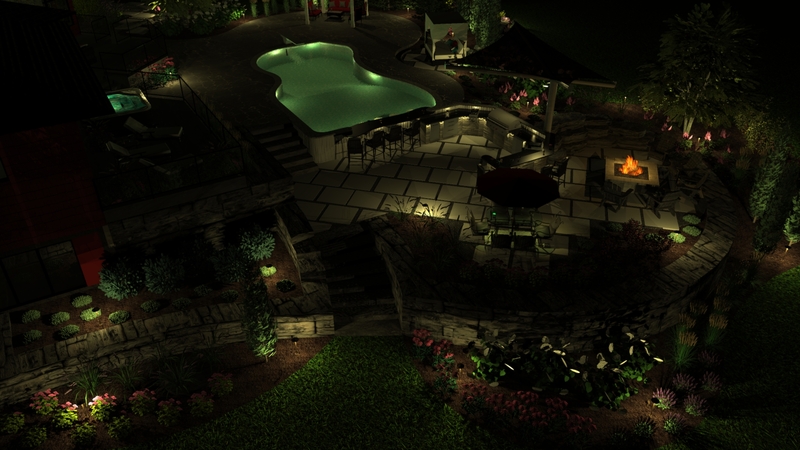 Above is an example of how we illustrate lighting in our 3 dimensional design process. 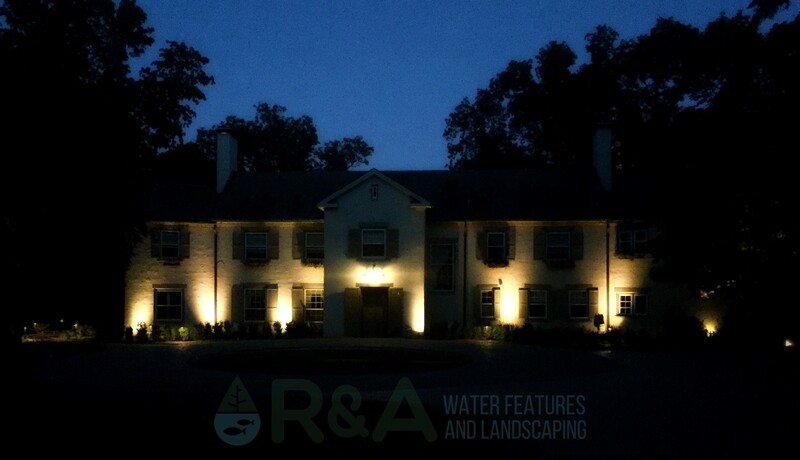 If you want to make the most out of your outdoor living space or show the beauty of your home at night, don't forget the landscape lighting! 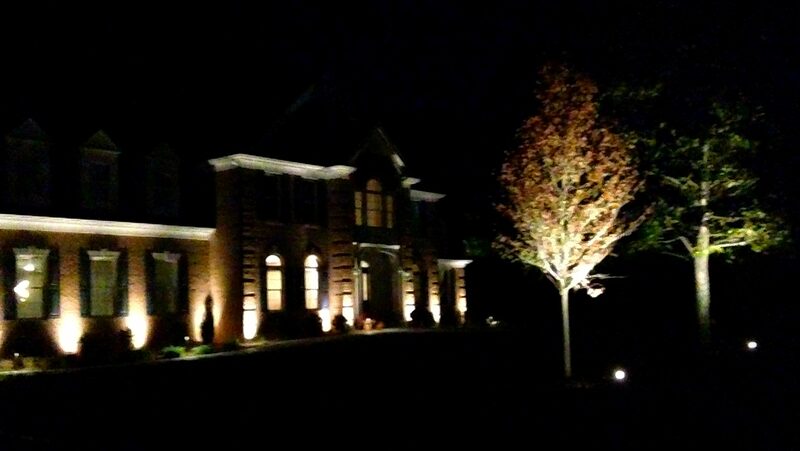 We are happy to answer questions for your lighting project. Be sure to follow us on Pinterest and Facebook for new ideas and inspiration. You can also check out our Houzz page, featuring recent projects and client reviews. Contact us today to get started on your next outdoor living project!